About Us | Surecraft Plastics Ltd.
For thirty five years the people of SureCraft Plastics Ltd have shared a genuine desire to develop a business designing and manufacturing quality products from the ever increasing selection of high performance engineered polymers. 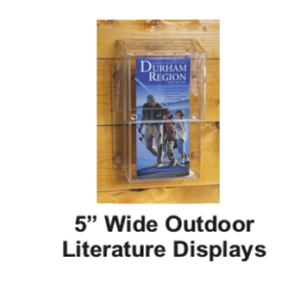 If you are looking for a literature display that will give you the best all around value over time, consider all the features listed below that our displays offer. You’ll agree, they are not just ‘a group of fixed pockets stuck on the wall’. To keep your literature looking neat and professional our displays have full width pockets with dividers/separators that are fully adjustable. Now it’s easy for you to make just the right mix of smaller ‘pockets’ no matter what combination of literature sizes you have . . . just check out our photos. And if the sizes change just move the dividers. Simply put ‘no more trying to stuff 5″ flyers into a fixed 4″ pocket you can’t adjust’. 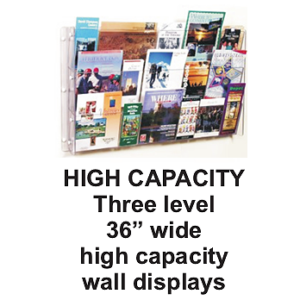 If you have a large variety of literature to present and are limited to a small area of wall to work with, our ‘ High Capacity‘ line of wall displays will hold the maximum amount of random size literature that can be properly displayed in a given wall area ‘period’. None of the ‘fixed pocket’ type of wall displays can even come close. 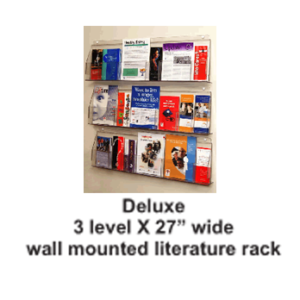 Our ‘Deluxe‘ line of wall mounted literature displays are modular to maximize your value for dollar. Purchase only what you need now because it’s easy to add additional capacity later. And here’s yet another bonus that’s unique to SureCraft Plastics Ltd; health care officials, education program coordinators, tourism promotion professionals – anyone can greatly enhance the ‘visual impact’ of their important literature by adding one of our optional ‘banner displays’. Just click on the ‘View Details’ link beside any of the display photos above to see a product sheet for details. 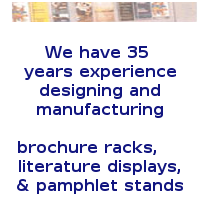 The attractive yet very functional designs and the built in quality of our premier line of Canadian made wall mounted, counter-top and floor model pamphlet displays, brochure racks and magazine holders provide you with a truly cost-effective way to attractively present your important pamphlets, brochures, booklets, magazines, flyers and newsletters for years to come. We are your ‘literature presentation specialists’. 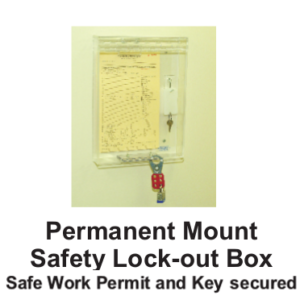 Custom design/fabrication with plastic – for industry, universities and hospitals. In addition to display manufacturing we offer a custom design – fabrication service to hospital/medical laboratories and university research programs If you require specialized laboratory apparatus and would like to explore having it made from plastic, give us a call. We’ll work with you if necessary in the design and then provide a no cost quote to fabricate your idea. Click on either of the “Custom Fabrication” links above to read more. If you have questions about any of our innovative display products or to learn more about our custom plastic design and fabrication services, please give us a call at 1-800-376-2194 or contact us by e-mail to salesteam@surecraftplastics.com. We look forward to talking with you.